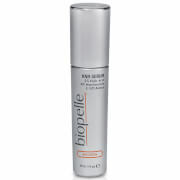 Achieve the highest level of retinol exfoliation with Biopelle Retriderm Serum Max. 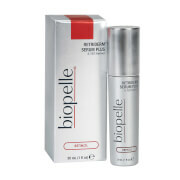 It uses 1% retinol to perfect seriously sun-damaged, wrinkled and uneven skin tone. 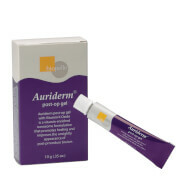 This is the next step up from Retriderm Serum Plus. This lightweight treatment dramatically improves the tone and texture of the skin. For those with hyperpigmented, sun-damaged and aging skin. Thoroughly cleanse your skin. Pat dry. Apply Retriderm Serum Max over affected area, 1-3 pumps should be sufficient depending on size of affected area. Allow the serum to absorb into your skin. Wait 3-5 minutes before applying any other products. Apply once or twice daily or as directed by your physician. If applied in the AM, apply sun protection of SPF 30 or higher after Retriderm Serum Max has been completely absorbed. 1% Retinol exfoliates and smooths the texture of the skin. Water (Aqua), Soluble Collagen, Polysorbate 20, Glycerin,Hydrolyzed Elastin, Retinol, Sodium Hyaluronate, Tocopheryl Acetate, LinumUsitatissimum (Linseed) Seed Extract, Octoxynol-9, Propylene Glycol,Xanthan Gum, Magnesium Aluminum Silicate, Quaternium-15, BHT, Yellow 5.